I just like the sound of that. What would Fellini’s Emoticon look like? ::#, perhaps? Anyway, am currently catching up on a few more revisions to Nothing Sacred, to be done by the end of May. I’m happy with the way it’s going so far. Speaking of the end of May, I’m heading up to Edmonton on the 29th to read from Love Minus Zero at the Canadian Authors Association Exporting Alberta Award readings and award presentation. Wish me luck! Should be seeing the new issue of The Antigonish Review out any time now, which will include my story, “Blue Lake” (which will also appear in Nothing Sacred). Er, speaking of which, back to work. 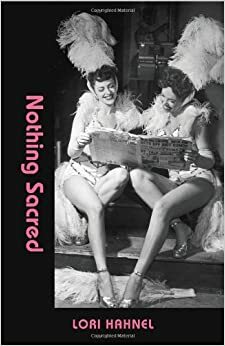 So the launch for Nothing Sacred will take place at 7 PM on Thursday, October 8th at Memorial Park Library, lower level 1221 – 2 St. SW, featuring me reading, refreshments and of course, book sales. Looking forward to it, though it does seem a bit far off at this point. Guess I don’t need to start rehearsing quite yet. In other news, I got an e-mail this morning from a guy in Germany with the same surname as me, from a city near Dresden (which is where my Hahnels are from). Probably some kind of kin. He’s a 40 year old ex-punk who wants my book. We’re going to do a trade: my book for one about the “punkrockszene” in his area. Sounds very cool! Looking forward to schmoozing at the Alexandra Centre tonight. That’s Rona Altrows’ Writer in Residence launch, 7:30, at 922 – 9 Ave. SE. Found out today that September 15th is the pub date for Nothing Sacred. This is good; now I can schedule a launch for early October and start looking into places outside of Calgary to read. Although for now that may just end up being Edmonton. Also got to see the cover art for the first time, which I like very much, another striking image. And it’s nice to feel like things are progressing with the book — all good, I say. Also had a pub date last night with my fellow Writing in the Works workers. Lots of fun there, opportunties to goss…er, discuss literary affairs. Yes, indeed, plenty of that kind of thing to discuss between the seven of us. And tomorrow night I head over to the Alexandra Centre for the launch of Rona Altrows’ term as writer-in-residence for the Alexandra Writers. Reading, schmoozing, more discussion of literary affairs. Always fun. Writing in the Works 2 was a successful and fun event. Though if we do it again next year, I think we’ll try not to schedule it in the middle of the Spoken Word Festival, which was going on all last week. Still, in spite of competing against two poetry events, Oliver Jones and Nickelback, we had a solid audience of 40 turn out, sold some books and repaired to the Hop Inn Brew Pub for a drop afterward. Splendid time. It’s nice to have it out of the way, though, and to have the edits for Nothing Sacred handed in to Thistledown. There may yet be some editorial stuff forthcoming, but I think we’re pretty much done with it. 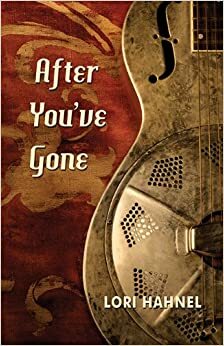 Right now I’m taking a little time off writing, thinking about what I’m going to do between now and the fall, when I’ll need to get back on the book promoting / grant writing merry-go-round. I’m thinking first finish a short story or two that have been on the back burner a little too long, then start tackling the revisions on novel 2. I also am looking into taking a course or two on educating adults, since I’d like to get into teaching creative writing. To that end, I need to come up with a workshop outline I want to pitch in June. Right now, though, I’m going to school to help the fourth grade make Pysanky. Apparently. I’m not convinced this project is going to be entirely successful, despite my 1/4 Ukrainian background. But I’m sure it will be fun. Messy, anyway.